WASHINGTON – There wasn’t much good news for any of the worker groups in the March jobs report, released last Friday. Even though, the unemployment rate fell to 7.6 percent, most economists agree that the drop is attributable to nearly half a million workers exiting the labor force. “The unemployment numbers look good on the surface, but the real reason is that people left the labor force,” said Steven Pitts, labor economist at the University of California at Berkeley. 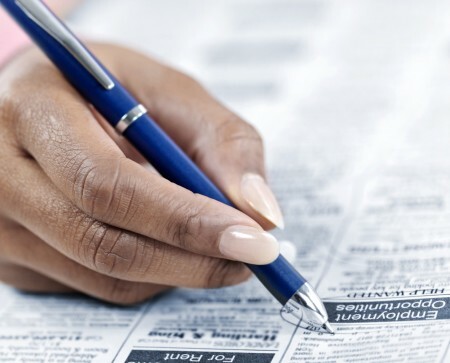 The Black unemployment rate decreased from 13.8 percent in February to 13.3 percent in March. The White unemployment rate also declined from 6.8 percent to 6.7 percent over the same period. The unemployment rate for Black men declined from 12.9 percent in February to 12.7 percent in March. The jobless rate for White men dipped from 6.3 percent to 6.1 percent over the same period. The jobless rate for Black women over 20 years old slid from 12.5 percent in February to 12.3 percent in March. The unemployment rate for White women over 20 years old climbed slightly from 6 percent in February to 6.1 percent in March. The employment participation rate, a measure of those either employed or looking for work, fell for all worker groups over 20 years old except for White women, which was the same in February. In a post for the Economic Policy Institute website, Heidi Shierholz, an economist for the think tank, wrote that the decline in the employment participation rate, also called the labor force participation rate, has nothing to do with retiring baby boomers. “The labor force participation rate of the ‘prime-age’ population, people age 25–54, is also at its lowest point of the downturn, 81.1 percent. It’s the lack of job opportunities—the lack of demand for workers—that is keeping these workers from working or seeking work, not other factors,” wrote Shierholz. According to the Labor Department, 496,000 workers left the labor force joining more than 800,000 discouraged workers who have already given up hope of finding work. Federal government shed 14,000 jobs in March, continuing to drag down anemic job gains, raising early concerns about the effects of the sequester, the automatic budget cuts that went into affect last month. “This could be the tip of the iceberg in terms of the larger impact of the sequester,” said Pitts. In her post on EPI’s website Shierholz wrote that, since the recovery began in June 2009, the public sector has lost 720,000 jobs with nearly half of that (352,000) in local, public education.